I've noticed since installing the latest IOS update a week or two ago that this website is almost unusable from my iPhone. Nothing seems to be formatted properly, and much of the text is covered with symbols making it unreadable. 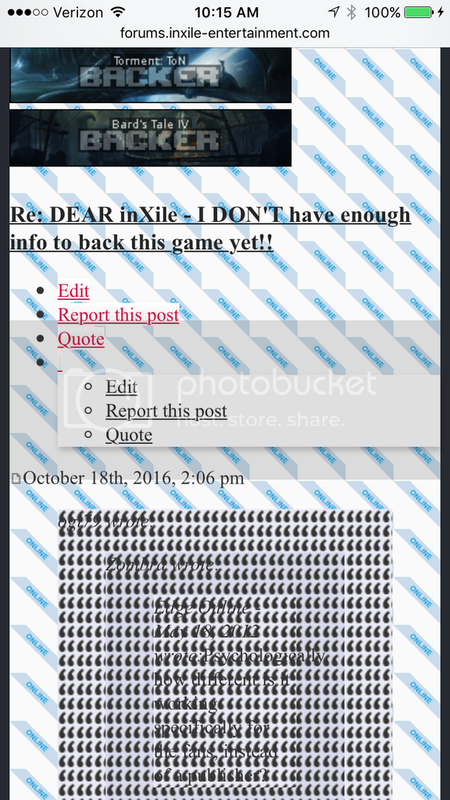 Not sure if inXile is aware of this, so I just wanted to provide a heads up in case they are not. Can you let me know which web site you are referring to, and maybe get a screenshot of it? 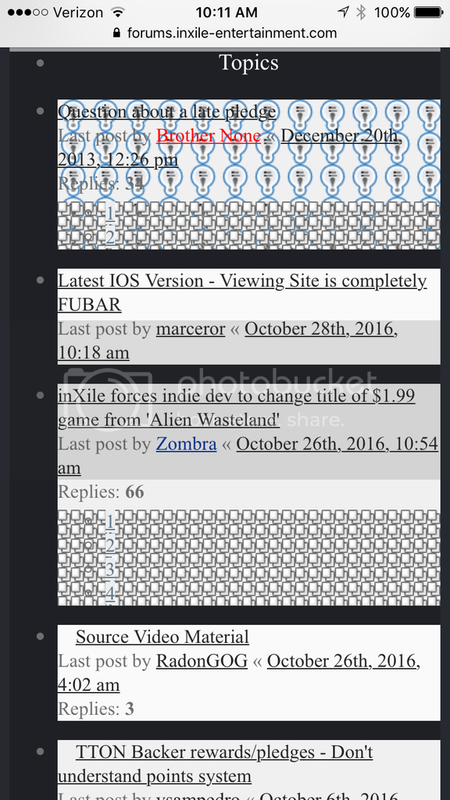 The forums? Torment? Wasteland 2? Wasteland 3? Bard's Tale? etc. I'm referring to the website we're currently conversing on, the forums. Let me work on the screenshot. This seems to be a safari specific issue (desktop or iOS), I don't know what triggers it but it seems to go away after a bit. My images aren't displaying any more, but yeah, that's the same basic look/issue. Hasn't gone away for me after a bit. Text is commonly obfuscated by images making it very hard, or in many cases near impossible to read. Everything takes up so much space that just trying to navigate to a thread and read it is basically not worth it. I pretty much don't check the site on my phone at this point, due to this issue. Nothing much has changed on our end that might cause this. We suspect this is due to a bug with Safari on iOS rather than anything about the site itself. Can you try a different browser and see if there's any difference? Wow, the site looks as it should again in my mobile! 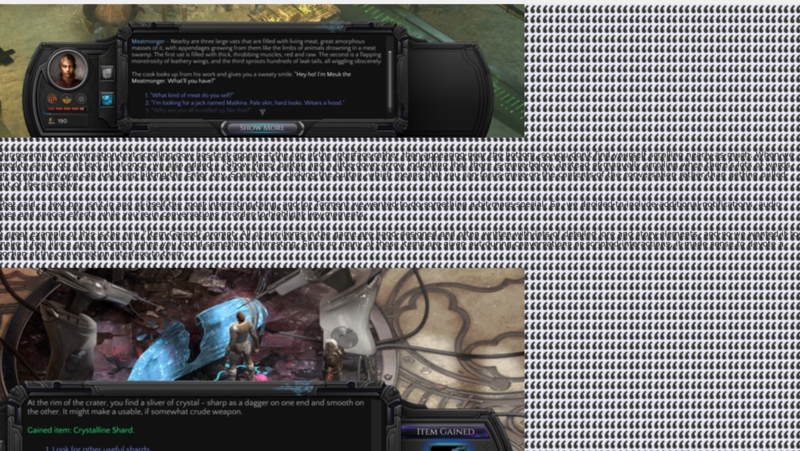 Not sure if InXile did anything to make this happen, or a later IOS update accidentally fixed what it broke a while back. But I'm glad I decided to take a peak "just in case" things were sorted. Fingers crossed that it remains usable.